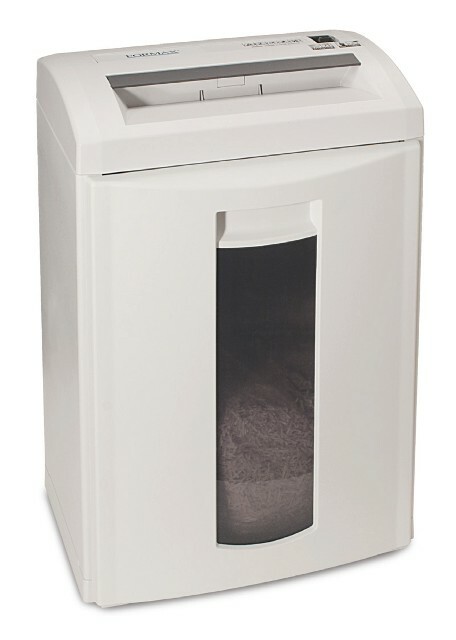 A deskside Level 4 cross cut shredder designed for personal or small office use. The S82C can shred up to 8 sheets at once into small particles. Solid steel cutters are heat treated and specially ground for longevity and minimal oiling. Features include Auto Start/Stop operation and Auto Reverse for anti-jamming. The cabinet features a window to show when the bin is full.